Facebook is beefing up its European sales team with a big name in social networking circles: It is adding former Bebo CEO Joanna Shields, who will runs sales and business development in Europe, the Middle East and Africa. It’s familiar territory for her in more than one way, since she once helped Google (GOOG) manage the same geography. Shields has had a busy couple of years: Two years ago, she arranged the sale Bebo to AOL (AOL) for $850 million. A year after that, she took off, and ended up in a content start-up backed by Elisabeth Murdoch’s Shine Group. It’s unclear what happened to that now less-than-shiny project. Blake Chandlee, who had been running the EMEA group at Facebook, is getting moved out of that job and will now run sales in emerging markets: Eastern Europe, Asia Pacific and Latin America. This is the second high-profile hire–and of a former Googler–by the social networking site recently. 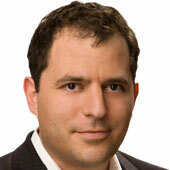 Last week, Facebook hired top-ranking Google ad exec David Fischer as VP of Advertising and Global Operations. With Fischer and former Googler COO Sheryl Sandberg, who has been eyeing Shields as a possible Facebook recruit since she left AOL, it seems an Ex-Googleplex is forming at Facebook’s new HQ in Palo Alto, Calif. Some of the many former Googlers include Elliot Schrage, VP of Global Communications, Marketing and Public Policy; Grady Burnett, head of online and inside sales; Don Faul, director of global online operations; and Ethan Beard, director of the Facebook Developer Network.